In today’s digital world, data is the lifeblood of business which makes data backup and recovery a must for every organization. However, data backup is one of those crucial computing tasks that everyone knows must be done, but rarely do we even take the time to think about it. 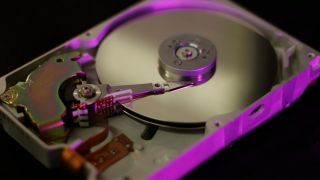 To help aid businesses on their data backup and recovery journey, I’ve compiled a list of tips that could be quite useful for organizations just starting out and could even be a good review for those that already have data backup solutions in place. Let’s get the objections out of the way first. A lot of people wonder how they can feasibly backup and restore a data center to and from the cloud, given the sheer volume of data they tend to have. Backing up smaller data centers to the cloud is easy but the challenge comes when trying to migrate a data center with 1PB of data over a typical WAN connection - which could take roughly take two weeks or more to get its first backup to the cloud via a 1 Gb connection. Of course, these large sets of data are most critical to secure. The good news? Tools like AWS Snowball Edge can help easily seed TBs, or even PBs of data painlessly in a matter of days. No matter how large your data set, there really is no good excuse not to back it up - now. When it comes to scalability, security, and capability, no other platform comes close – including your own data centre. AWS is amongst the most vetted cloud providers of them all, providing government-level security, combined with seamless, readily available and near infinite scalability. Beyond the inherent security of using such a trusted cloud provider, using an external server creates an important gap between your critical backups and any potential attack on your server. Given the core point of data backup and recovery is to have that information available when your primary data platforms are compromised, keeping that data separate and robustly protected – on a separate OS - is key. Only the cloud can provide industry-leading and continuously-updated security, instant scalability, and critical separation from your core infrastructure. For backup and recovery services, as with almost everything else these days: automation makes everything easier. Trying to manually integrate intricate applications and interdependencies is a recipe for disaster. Taking automation one step further than just backups, to runbook execution streamlines core processes for rapid recovery. Testing is also key – to ensure that the disaster recovery backups in place don’t just exist but can be readily transferred and deployed in the event of a real crisis. Now, enterprises can automate this process, ensuring the team is prepared for a potential disaster, while also meeting compliance and audit requirements. Typical backup software sends full backups and full-file incremental backups to a backup appliance that then deduplicates them. This uses more bandwidth, more compute power, more storage and more money than a well-written source deduplication system, where data is deduplicated before it is ever sent across the network. Instead of full backups, a source deduplication system sends only the new, unique blocks each time a backup runs. These efficiencies make the difference between automated backups measured in seconds, versus minutes, hours or even days. While efficient data backup and recovery to the cloud presents obvious opportunities for applications like disaster recovery, it’s important to emphasize data management is more than backups. It offers DevOps the latest copy of data to support A/B testing, it preserves intellectual property, and protects a company against unexpected events like ransomware attacks or legal holds. A comprehensive backup can be leveraged for machine learning and AI applications, and it opens the door for near endless applications of the data. For example, a medical device company can learn from its archive of surgical data to improve precision times of devices. When it comes to backup and recovery, don’t just look at the obvious – there are significant opportunities to reach higher, leveraging newfound capabilities to underpin remarkable innovation.